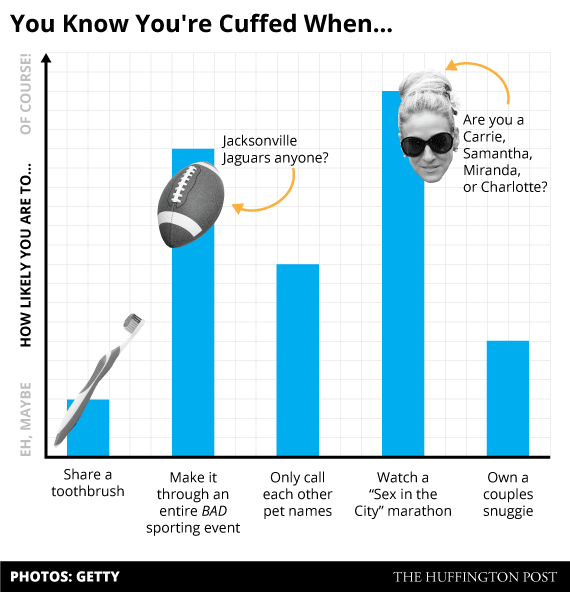 "During the Fall and Winter months people who would normally rather be single or promiscuous find themselves along with the rest of the world desiring to be "Cuffed" or tied down by a serious relationship. 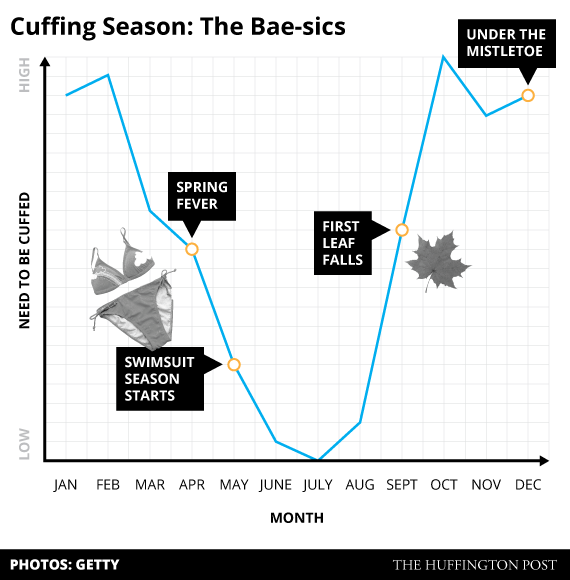 The cold weather and prolonged indoor activity causes singles to become lonely and desperate to be cuffed." 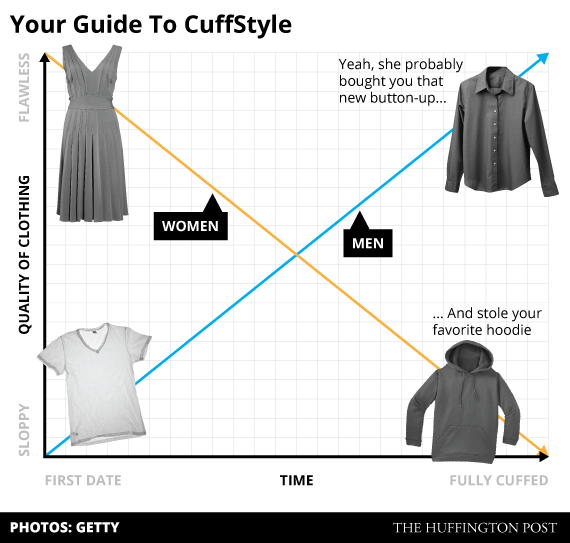 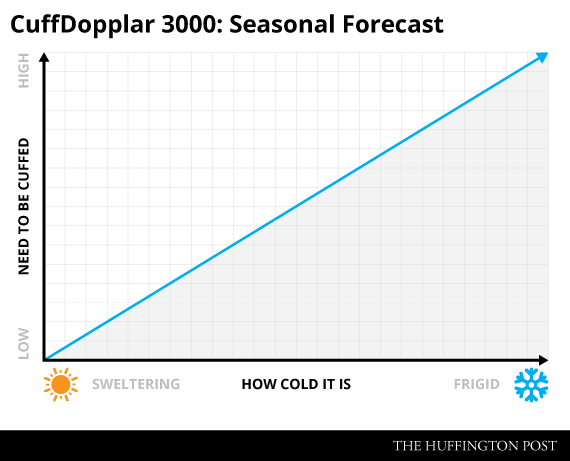 If you’re still not sure how to hone your cuffing season skills, we got you. 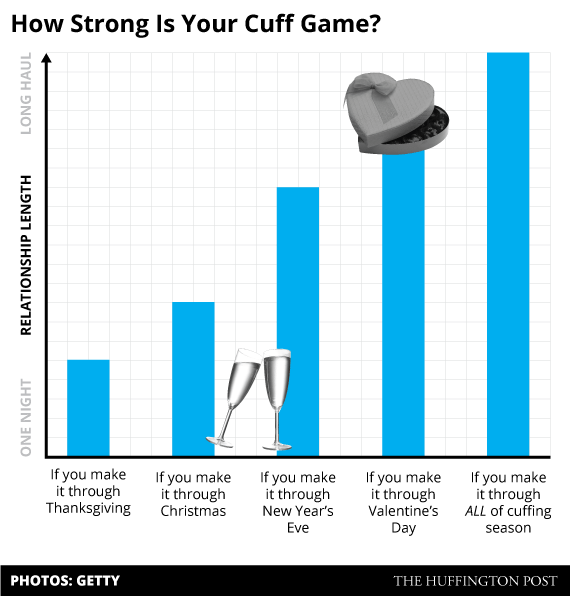 If you've been naughty all year and are trying to end it nicely, check out these 8 simple charts that will help you find a bae to bring around to holiday parties so your aunt can stop asking you why you're single. 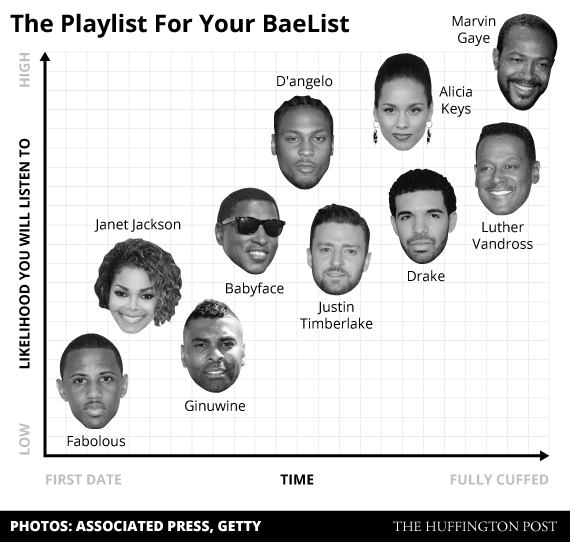 And to help you through those winter months, we've put together a playlist for all of your cuffing season needs. 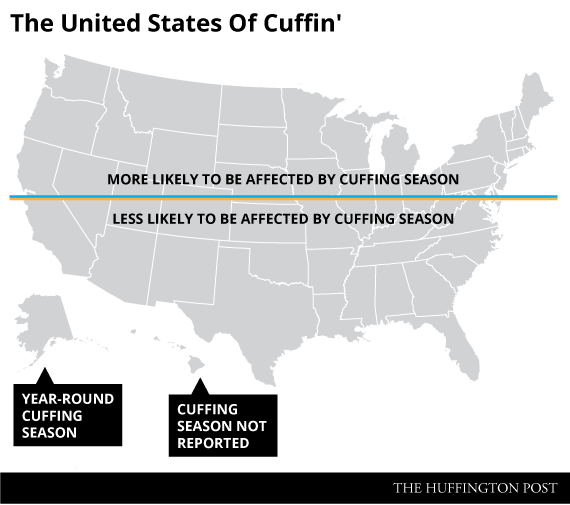 Now get out there and find your bae before it's too late. 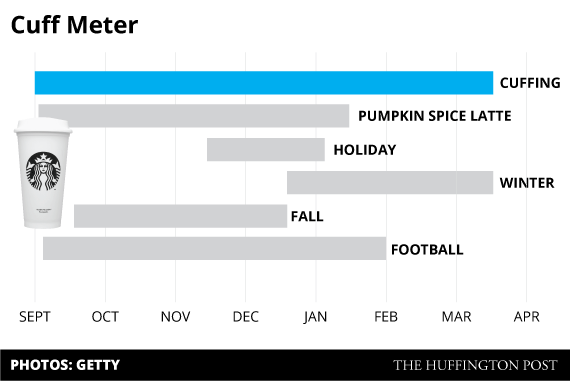 Graphics by Jan Diehm for The Huffington Post.